Roy C. Weddle, age 75 of Somerset, passed from this life on Sunday, April 22, 2018 at the St. Joseph Medical Center in London, Kentucky after an extended illness. He attained the age of 75 years and 10 days. Roy was a Retired Diesel Mechanic and was a hard dedicated worker. 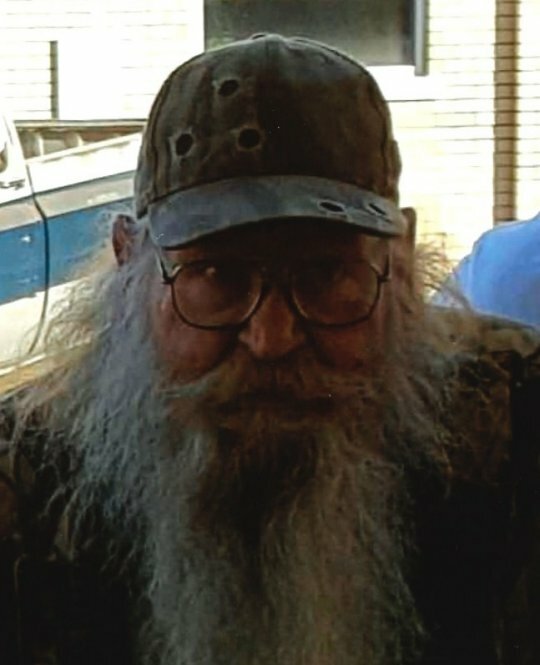 He enjoyed hunting, fishing and spending time with his family. Roy was an outgoing person, who seemed to never meet a stranger. He will be sincerely missed by those who knew and loved him. Besides his parents he is preceded in death by one sister; Ida “Irene” and her husband Richard Nolan and two brothers; Carson Weddle and Carter Weddle. He is survived by two sons; Barry (Debbie) Weddle, Phillip (Renee) Weddle of Somerset and a daughter; Regina (Darren) Wesley of Science Hill, one brother; Ronald (Shelia) Weddle, grandchildren; Adam (Jessica) Weddle, Bryan Smith-Weddle, Kendra (Kyle) Patterson, Tyler Weddle, Cody Weddle, Dylan Wesley and Stacy Wesley, five great-grandchildren and a host of other relatives and friends. Visitation will be from 4:00 p.m. until 6:00 p.m on Thursday, April 26, 2018 in the Chapel of Southern Oaks Funeral Home. The Funeral Service will be at 6:00 p.m. in the Funeral Home Chapel with Bro. Darrell Wallace officiating. Burial will be on Friday, April 27, 2017 at 10:30 a.m. in the Piney Grove #2 Cemetery in Nancy, Kentucky. Southern Oaks Funeral Home is entrusted with the arrangements for Mr. Roy C. Weddle. DEAR FAMILY: ROY WAS SUCH A WONDERFUL MAN. WE ALL HERE ON PINEY WILL SURE MISS OUR GREAT NEIGHBOR AND FRIEND. BRAD WOULD OFTEN GO DOWN AND VISIT AND TALK WITH ROY. ROY ALWAYS THOUGHT OF OTHERS BEFORE HIMSELF. HE WOULD OPEN HIS HOME UP TO HOMELESS PEOPLE AND HIS FRIENDS WHO NEEDED A PLACE TO STAY. I HAVE KNOWN ROY FOR MANY YEARS. WHEN YOU GOT TO KNOW HIM, YOU TRULY HAD A FRIEND FOR LIFE. HE WAS DEFINITELY A PEOPLE PERSON AND NEVER MET A STRANGER. HIS RADIANT SMILE AND WONDERFUL, LOVING GENEROSITY WILL ABSOLUTELY LEAVE A VOID IN THE LIVES OF WHOM HE LOVED SO DEARLY AND ASSOCIATED WITH. WE ALL WILL BE PRAYING FOR THE FAMILY. MAY GOD BLESS AND BE WITH EACH OF YOU AND GIVE YOU PEACE, COMFORT, AND STRENGTH DURING THIS MOST DIFFICULT TIME AND IN THE MANY DAYS AHEAD. ROY IS IN HEAVEN WORRY AND PAIN FREE. II TIMOTHY 4:7 I HAVE FOUGHT A GOOD FIGHT, I HAVE FINISHED MY COURSE. I HAVE KEPT THE FAITH. Phillip: I am so sorry for your loss. May God Bless and keep you and your family in this sad time and always. You are truly blessed to have had a great dad and you have great memories to keep him close to your heart. You and your family will be in our thoughts and prayers. Tyler: I am so sorry for the loss of your Grandpa. If you need anything just let me know. Mine and Brandi’s thoughts and prayers are with you too!